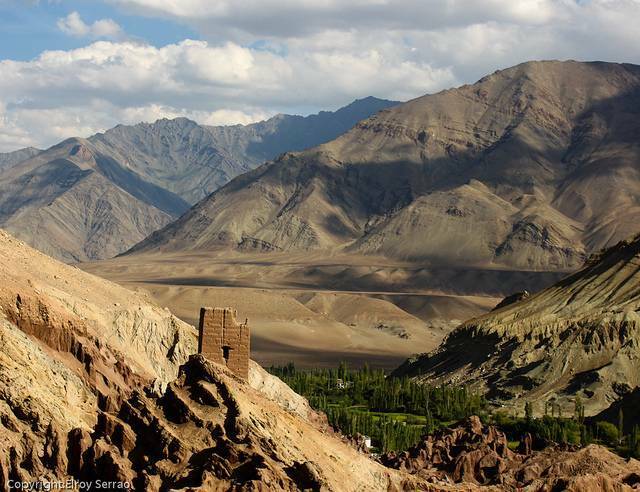 Basgo or Bazgo Gompa (Basgo Monastery) is about 40 KMs from Leh and is a fortress of mud-bricks situated high on the hills of Ladakh. The monastery has a 14 mt high, gilded statue of Maitreya and has brilliantly colored wall paintings as well as murals. The ancient temples of Basgo Gompa are in ruins but are still actively used and well-loved by the locals as well as pilgrims. Visit the Gompa for its imposing views of the Himalayan and Karakoram mountain ranges and the unique architecture.